Mary and the Witch's Flower DVD and Blu-ray release date was set for May 1, 2018 and available on Digital HD from Amazon Video and iTunes on April 17, 2018. Mary's visit with her Great-Aunt Charlotte in the British countryside turns into an extraordinary adventure when she ignores the warnings of a local boy, Peter, and follows his two cats into the forest on a misty day. 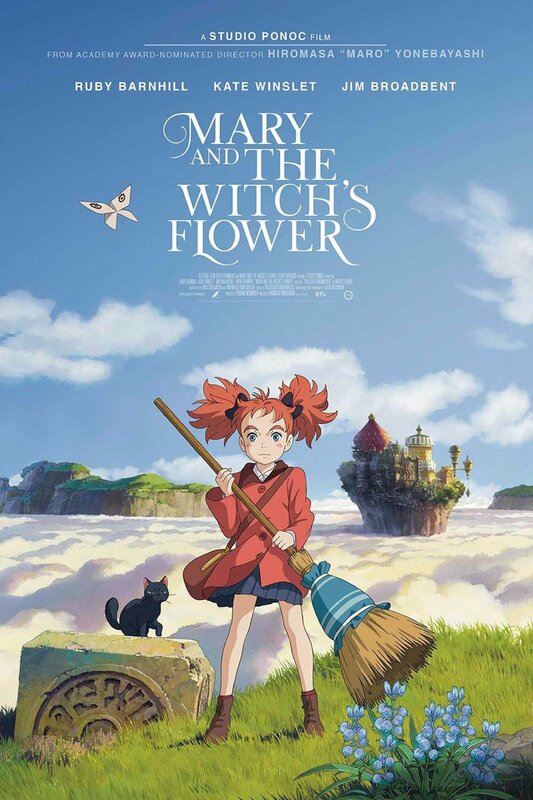 Mary finds an old broomstick and a beautiful flower that the estate's gardener tells her is coveted by those who practice witchcraft because it can bestow power. When Mary finds herself suddenly developing the powers of a witch, the broomstick takes her to a magic school known as Endor College. At Endor, Mary tries to understand better who she is and what she wants out of life. She also faces a terrible decision: She must choose between her amazing powers and doing the right thing.